Moms are just not moms but they are our best friend and pillar of strength . 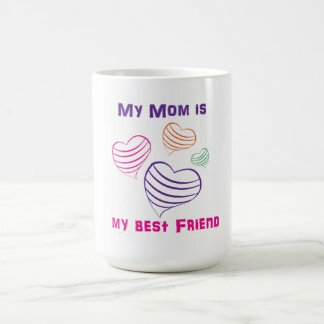 I share a special bond with my mom , though sometimes we disagree on a few things but still we love chatting , discussing and spending time together . I would like to share one Magical moment with my mom in this post . When I was in standard 12th , we had to be a part of an educational trip . It was a short day trip going to another city . My mom did not liked this and said “No need of going , stay at home and study , you have board exams this year ” , that made me feel very angry and upset and since all my classmates were going and that was the last year of my school , I wanted to go . I requested her a lot but she did not agreed , so I thought of doing a hunger strike . I stopped eating my meals , no breakfast , no lunch and no dinner , only some fruits and biscuits , next day again , I did same , I even did not came out of my room to eat or talk with anyone . My mom was too worried , but she was adamant not to give me permission .Third day when I was too exhausted , hungry and was feeling low and depressed , mom came to my room and said “Stop this and have your meal ” and I replied NO . I won’t , since you do not care about me and my feelings , do not worry about my meals , I will survive on fruits and snacks. She went back and I was feeling more angry not knowing what to do next . For a moment I really felt very bad and thought how long will this go . After some time I saw my maternal aunt coming with a plate full of delicious food , I instantly said if Mom has sent , I won’t eat , Nothing from her kitchen , my aunt smiled and said look carefully this plate is from my kitchen , not from your mom’s kitchen , since you have not taken proper meal past two days , we all are worried and since you are not eating from your mom’s kitchen , I brought this from my kitchen , please have something or else you will be ill . Since I was really too hungry and exhausted ,I decided to eat . It was rice with some vegetable curry and salads . The moment I ate the first morsel , I could make it out that it was from my mom’s kitchen , just to make me eat she had send it in a different plate so that I would eat it , I smiled but did not said anything and ate what ever was there . My aunt was happy and said till you are angry with your mom I will bring your food and you have to eat . Again, during dinner time my aunt came to my room with some food on her plate and again after eating the dinner , I could make that it was made by my mom and not by my aunt . This went on for next two days with my aunt bringing food for me in her plates , and yes it was my favorite dishes like chicken curry , my favorite sweets etc . At last I thought this is going too long , I need to stop this . So came out of my room during dinner time and sat on our dinning table and told my aunt ” I will eat here , I could see a smile on my mom’s face that made me happy and I also felt guilty that because of me she is worried . After eating dinner I asked my mom to massage coconut oil on my hairs , which she loves to do as she always says , you people do not oil your hair properly so it’s so rough and dry , we used to put lot of coconut oil on our hairs . And we are using parachute coconut oil since a long time . During the massage I told her “Mummy the chicken curry that you had sent yesterday was delicious “, she said I did not send , it was from your aunt’s kitchen . She laughed and said I made you eat by sending it in your aunt’s plate and since her mood was too good I requested her again to give me permission for going to the trip , which she finally agreed . The moment when she was massaging my hair and we were again talking like friends was like a Magical Moment for me , as I was missing that because of the tiff between us . So the warmth of massage brought back warmth of our relationship . Till date we bond over a cup of tea and discuss everything , with she giving her useful tips to manage daily household chores and kids upbringings . Hope you all enjoyed reading this post and enjoyed watching this video . I’m blogging about my #MagicOfWarmth moment at BlogAdda in association with Parachute Advansed Hot Oil.